United States Attorney for the District of Minnesota Andrew Luger, who is spearheading the Countering Violent Extremism (known locally the as the Building Community Resilience, or BCR, program) drew parallels with the 1990s-era Minnesota HEALS program a recent radio interview. It's true that the programs share some general themes: education, hope and mentoring. But there are some major differences, making Luger's comparison a stretch. Minnesota HEALS (which stands for Hope, Education, Law and Safety) was a private-sector initiative in response to the “Murderapolis” crime epidemic of the mid-1990s. Business leaders including CEOs of Honeywell, General Mills and Allina Health System called the first meeting with Governor Arne Carlson as well as the mayors of Minneapolis and St. Paul. 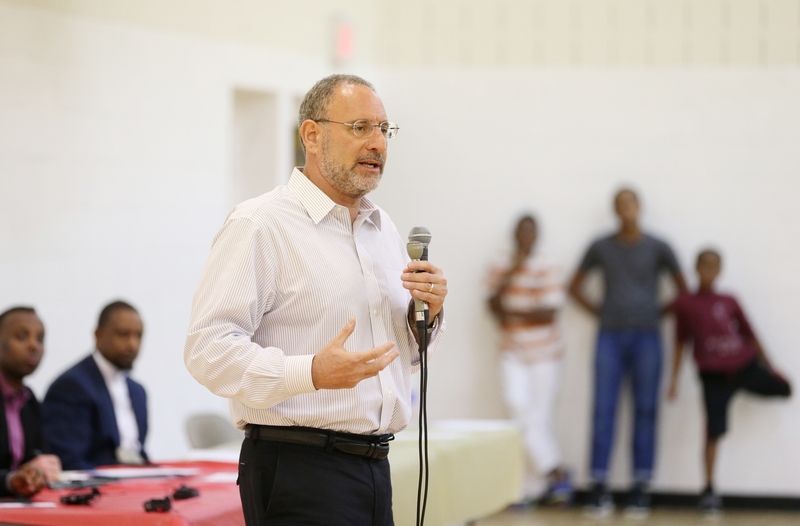 The CEOs insisted “it is time to act and turn this situation around.” That meeting expanded into a forum with “dozens of government, corporate and community groups” dedicated reducing homicides and violent crimes, according to Wilfred Bockelman, a journalist and an author of several books. The first thing Minnesota HEALS did was retain Chuck Wexler and David Kennedy, a law enforcement expert and a public policy guru, respectively. Their data and analysis formed the basis of the program. The Minnesota HEALS strategy resembled an archery target with four rings. Public safety resided in the inner-most circle. Jobs, housing and infrastructure were found, consecutively, on the outer rings. During Minnesota HEALS, David Lilllehaug was the United States Attorney for the District of Minnesota (he’s currently a Minnesota Supreme Court Justice). Lillehaug worked with neighborhood groups to identify crime enablers such as drugs and gangs. Then he asked federal agencies like Drug Enforcement Agency (DEA) to take action. Lillehaug told me in a conversation that it was unusual for a US Attorney to attend neighborhood group meetings at night, but it turned out to be an effective tool for law enforcement. Lillehaug embraced drug treatment in lieu of criminal courts. Prosecutors partnered with parole officers to prevent recidivism. At the same time, corporate support for the program remained robust. Honeywell CEO Michael R. Ronsignore took a direct leadership role in the program, partly because his firm was headquartered in Phillips Neighborhood, an epicenter of the violence. Honeywell spent nearly $12 million on housing alone. CVE/BCR, on the other hand, emerged out of White House Conference in 2015. The idea is to develop a pilot program to deter the recruitment of American youth by overseas terror groups like ISIS and Al-Shabaab. Los Angles, Boston and Twin Cities are the program's initial sites. Luger’s office has been working with a 15-member Somali-American Task Force, many of whom lead nonprofits that serve the local community. So far, the task force has been unable to build broad support for the program. One member of the task force, who requested anonymity, characterized the group's performance so far as "farce." Luger announced the project's budget of $932,000 in September. Of that amount, cash at hand includes $216,000 from the Department of Justice and $116,000 from the Carlson Family Foundation. The rest is either pledged or pending appropriation. That brings the program’s total earned funds to $332,000. For comparison, Allina Health Systems spent $500,000 on jobs alone in the first year of Minnesota HEALS. Meanwhile, there has been no direct corporate involvement in CVE/BCR. The next major funding milestone for Twin Cities CVE/BCR might be the $15 million President Obama requested from Congress for the pilot program. If congress appropriates this request, the Twin Cities is expected to share with Boston and Los Angles. Meanwhile, Luger has opted for criminal proceedings over rehabilitation in his actual approach to countering violent extremism. In court, persecutors from Luger’s office vehemently opposed a community-backed proposal to release and rehabilitate ISIS suspects while they awaited trail. This led some in the Somali community to wonder how CVE/BCR was supposed to help with prevention. In fact, on a first-year comparison, it looks like the two programs emerged from very different circumstances in response to very different kinds of crimes. Objectives and funding sources also are very different. So much so that comparing CVE/BCR to Minnesota HEALS is an oversell.